The shape of her wood is not quite there yet. But close. Pretty darn fancy for something that’s mostly just a test bed. Note how Phantom Advisor has particularly long ears — just the thing for detecting the patterns and echoes of a distant past. Third wave feminists are encouraged to comment. There seems to be a considerable amount of wrenching on the evidence to force this field frame into being an outswinger. Those little bronze roundabouts are charming, but the exit and entrance ramps are a puzzle for sure. Where do the little cars go when they get to the top? Why? I keep asking myself. Why? …. 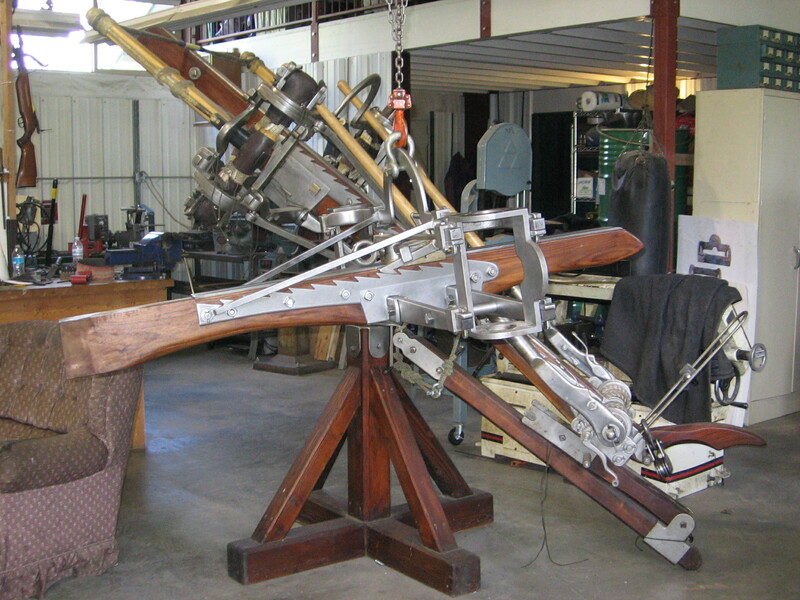 Photo is of the machine called Constantine from the “Comitatus ballista” website. Is this the kind of complex violation of the artifact that passes for experimental archaeology in your neck of the woods? I’m all for leniency when it comes to hiding out in one’s analog bomb shelter, but really? This forcing of the outswinger agenda is just too egregious to pass mentioning. And, braided or plaited line for the springs? * All strung up loose and goosey? Never have I seen a deader looking torsion spring. Perhaps it’s a work in progress. If it is, then maybe this next photo will help by showing what a fully developed torsion spring should look like. Well that really nailed it didn’t it? I’ll just stick my nose in the air and mumble something about how these kind of attempts are more like theatrical props than they are genuine experimental archaeology projects. Because, you know, “experiments”, “data”, and everything…..
And what’s with the wimpy wooden locking wedges? You don’t think the Romans could spring the cash for metal ones? If there was any power in this contraption the steep angle on those wedges would quickly cause them to loosen with all the high frequency vibration. Honestly! I dunno! Kids and industry! Send ’em to school. Give ’em an education. Whaddaya get? Outswingers of lameitude! …..Did I just turn myself into another foot soldier for the Performance Police? Yikes! The slippery slopes of sanctimony! 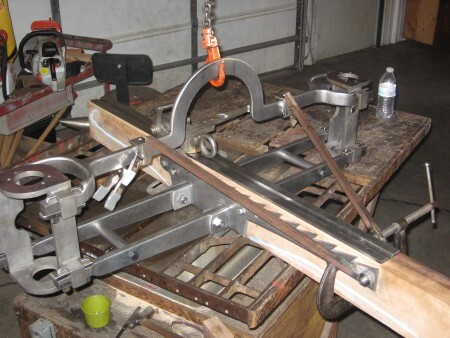 *Step one in making a powerful ballista: never use braided anything for the springs. It kills the springiness compared to regular three strand. I finally got the balls to cut into that nice chunk of walnut. 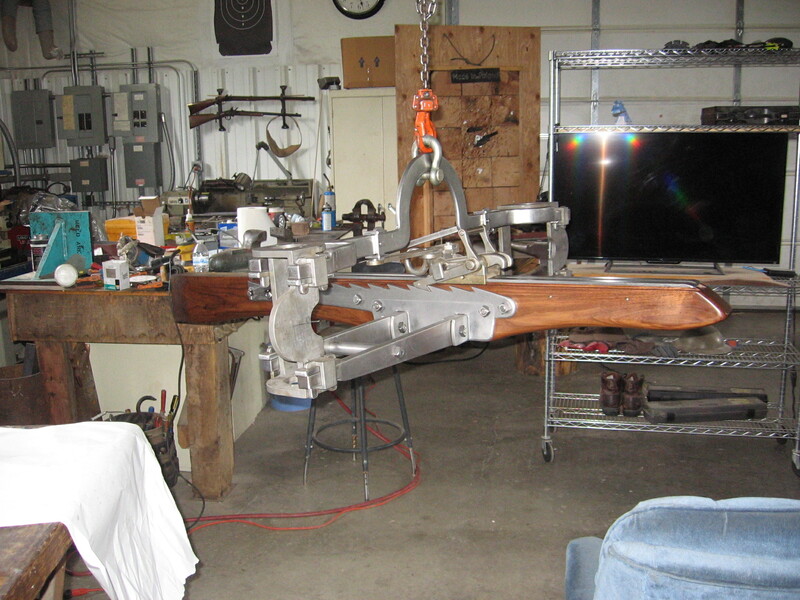 ….And so, Phoenix’s forend will revisit the band saw for a little more trimming as soon as I get my nerve up again. In the meantime, there are washers to ponder. Also, any sharp eyed AP’s scrutinizing the above photo will be sure to object to the square-headed nuts bolting everything together. They are just simple analogs. Rivets are too permanent if there are changes to be made. 28 hours have elapsed since the above cuts were made. 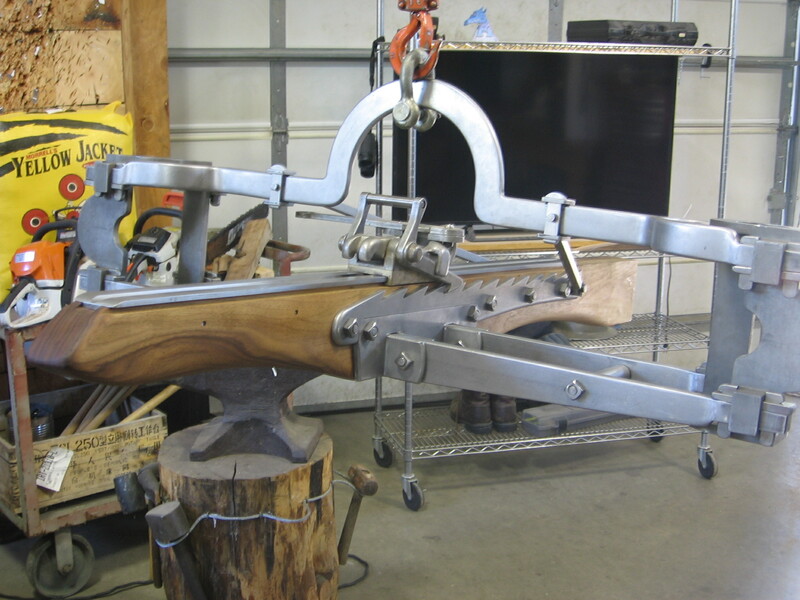 With my chutzpah restored, the band saw has done it’s deed. And remembering for a moment, that inspiration from Trajan’s column: a double perspective, ancient rendition of an inswinger’s forend, outlined with little yellow markers. Uncommonly similar snouts, don’t ya think? At least when this ancient art work is given the side view interpretation. I have often thought that as a subject, “History” is the most cherry laden of disciplines. As R says, “It is better to know that you believe, than to believe that you know.” We all choose the truths we care to inhabit. Making sand castles with the evidence is the most common of traits and I’m as guilty of that as anyone. With ancient history, the interesting propositions usually deal with hints and traces. The “definitive” ones are often just banal. And just because I can’t make up my mind on this whole flash bulb thing, here is Phoenix again with enhanced photons present. It must be admitted that Firefly’s trigger and catch assembly looks a trifle dorky stuck on a smaller machine like Phoenix. Someday I’ll make the little dear a new one, just her size. Now I have to dream up some softening scallops for her forend. All very artsy, I am sure. (1) Pre-stretch the nylon spring cord to within an inch of it’s life. 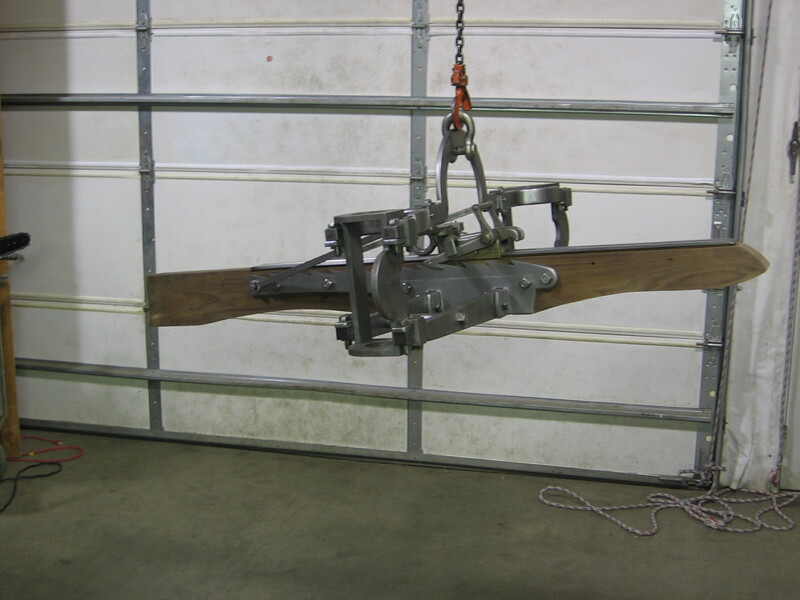 Less hyperbolically, that means: perform a vigorous vertical stretch of an anchored bundle of spring cord with the shop crane. The spring cord should be in a bundle maybe eight feet long for this stretch. The idea is to cause all the cord to elongate about 10% (maybe more) and stay under tension this way for quite a while, probably about 24 hours. –Must research again what’s ideal.– Or do by feel. “Feel” usually trumps calculation when dealing with something as amorphous as fresh spring cord. The dynanometer can measure the amount of force being applied for this linear stretch. Adjustments can be made throughout the duration of this pre-stretching period to keep the pressure on. 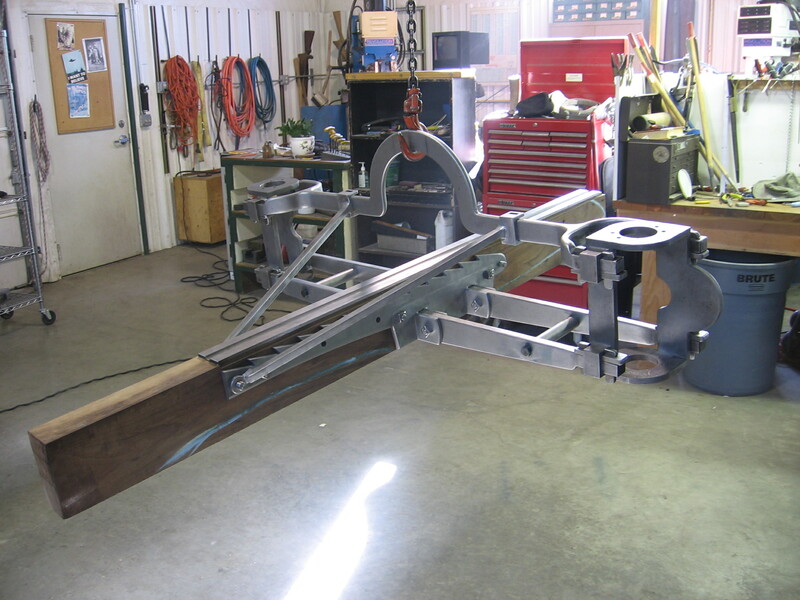 (2) Reform the pre-stretched spring cord into the final bundles and install in the field frames, along with the limbs. Make sure all areas that contact the springs are as smooth and pleasing and as soft and cuddly as possible. This means: nice fat radii anyplace the spring cord actually touches. If deemed helpful, padding and pillows would be acceptable to help prevent chaffing. Strictly the red carpet treatment for the little dears — perhaps breakfast in bed, hourly massages, that sort of thing. In short, lull the springs into a state of blase complacency by how nice you are treating them. (3) After installing the springs in the field frames, and with all due ceremony and respect, drive shallow angled wedges along the top of the flat crossbars to really stretch out all of the spring’s fibers with many hundred of pounds of force. How many hundreds? Well that all depends …. how big is a hammer? In any event, drive the wedges in deep. Make the springs beg for mercy, all the while utilizing the wedges to balance their power output. When they get through gripeing at all this fiddling around, do a final round of wedge smacking and low power shooting to confirm the balance. Then get ready to twist baby! ….. And the springs thought they were stressed out enduring all that linear stretching and power balancing from the wedges. What comes next will really make them howl! …..
(4) With great solemnity, rotate all the washers equally. (Probably about 180 degrees. Haven’t quite decided yet.) Now, if all goes as planned, the balance of power between the two sets of springs should transfer intact right through the twisting operation. I have every hope that it will because Firefly herself has shown she can stay balanced through 75 degrees of universal washer rotation. Also, it is expected that the stress will become more evenly disposed throughout the spring. Every tiny bubble of slackness will be wrung out. All the fibers will do their part, no slackers allowed. The springs should feel rock hard to the touch. (5) Fire for effect. ????????? Here lies the great unknown in this lengthy wedge machine experiment. Hopefully it is the point at which the games can really begin. Probably there will be several repetitions of steps 3 and 4. The springs need to understand that there is no escape from our training regimen. They are going to have to work for a living. But not to worry. 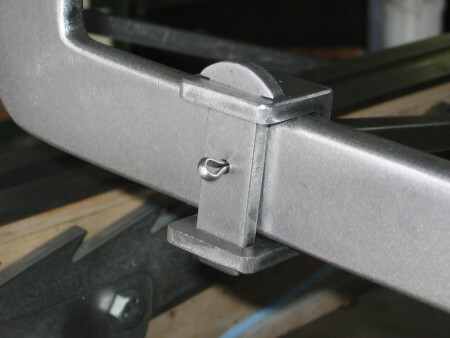 If they are evenly strained, and the chaffing trolls can be kept at bay, rope torsion springs can take a tremendous amount of stress before they fail. Anyway, that’s the basic plan and what we will be working towards over the next couple of months. The above photo is of one of Firefly’s torsion springs that has been fully developed into a powerful source of propulsion. If you take a closer look at it you can sense the strain that is contained within it. (Click to enlarge.) Note how all the cords have a smooth and even appearance. Firefly was not fired in two years, and her springs held this high level of strain while sitting in the uncocked position for all that time. When she was taken out of mothballs and fired again, Firefly’s velocity was exactly the same as when she had been put into storage, 316 fps with a 521 gram bolt. And I do mean exactly the same, 316 feet per second, which astonished me to no end. 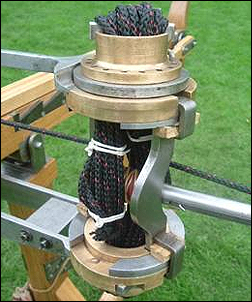 Such is the consistency of a properly developed rope torsion spring made from 3-strand nylon. My experiments with braided nylon were short lived because it quickly became apparent that the braided material was essentially dead as a spring. The 3-strand twisted rope was far superior to the braided. 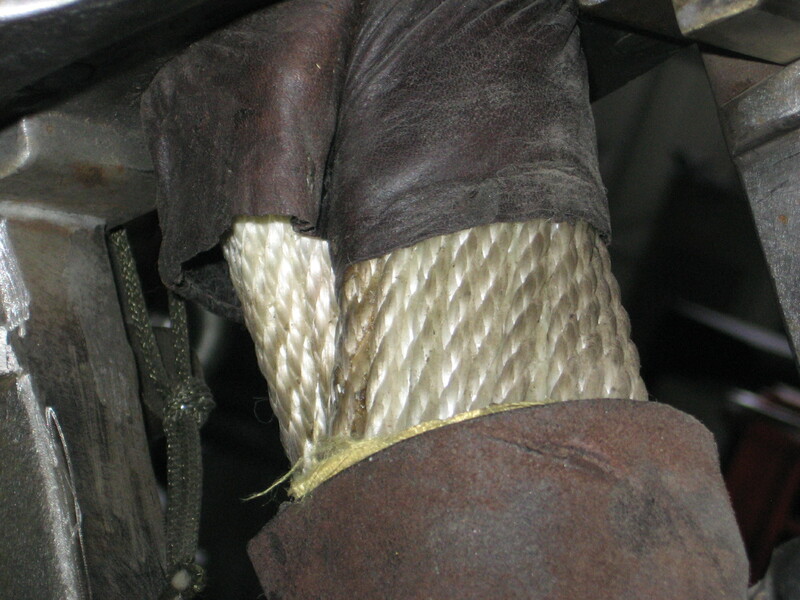 I figure all those intersecting crossover points in the braided material just killed its performance. Of course, Nylon ain’t Sinew. Dismissing physical experimentation on reconstructions of ancient torsion engines because they are not powered by authentic materials neglects the fact that there is more going on in the design and development of these devices than the springs that power them. 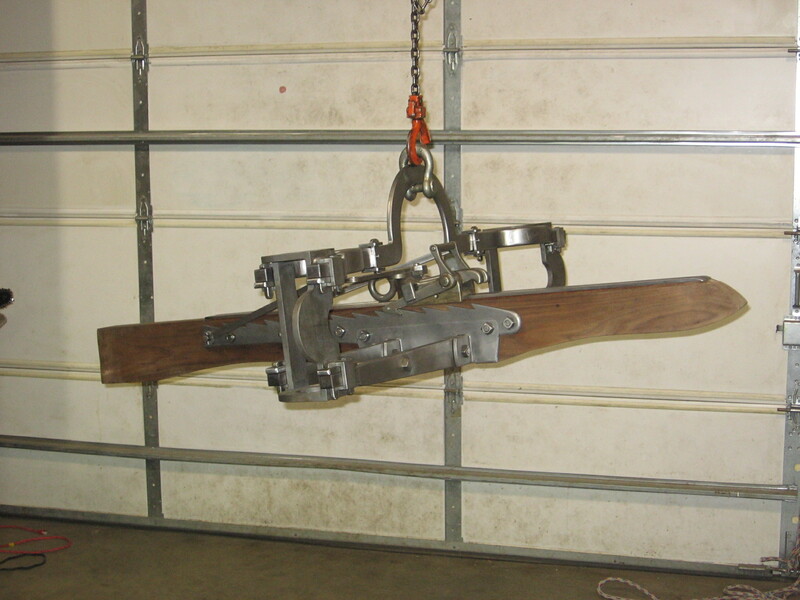 Given firsthand accounts of ancient ballista performance (e.g. the Lightning as described by Anonymous) it is no great stretch to conclude that however they were made, sinew springs were reliable power generators. Our modern nylon analogs can only seek to emulate this. If an authentic Dura bolt fired from a modern reconstruction can be cast 800 yards or more, the springs that performed the act must bear some measure of equivalency to the originals. It is this high level of consistent power generation that has helped Firefly shoot with such amazing precision over the years. 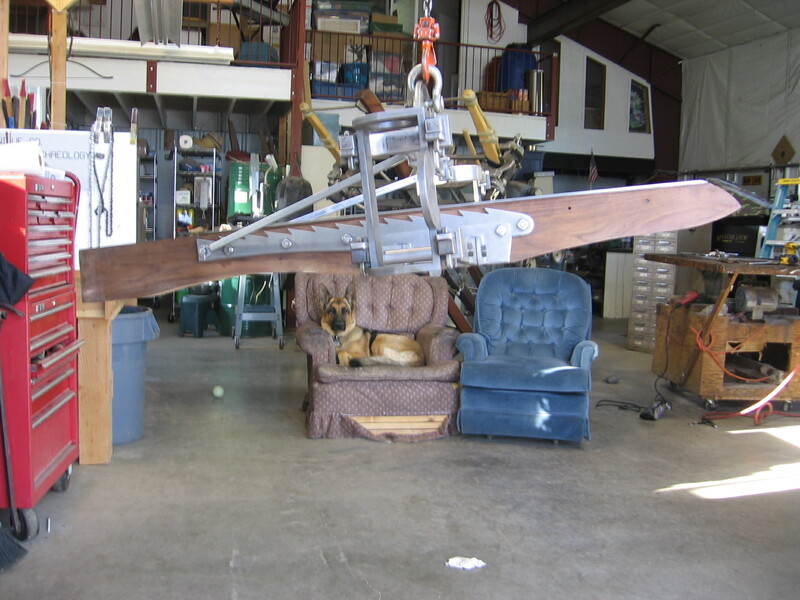 It is no great trick to take rope torsion springs to this level, it’s just more fiddling around than most novice catapult makers can conceive of. Which is probably a good thing. This is potentially a very dangerous game we are playing. Analog: a person or thing comparable to another. Not identical, just comparable. The concept makes a useful redoubt when the authenticity police come knocking. Phoenix is getting her struts fitted. 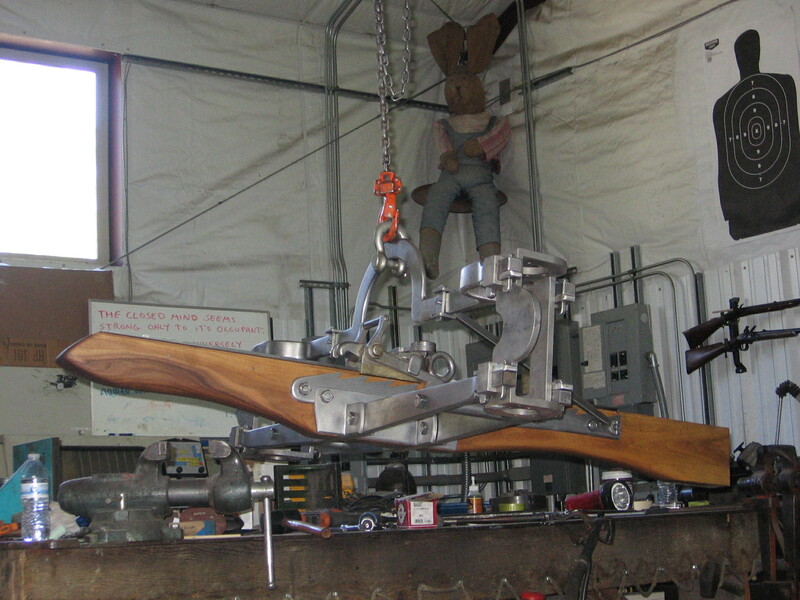 The ends of the struts that are resting on the kamarion still need to be trimmed so that they will drop down and position themselves in the center of the yokes. After that, welding them to the yokes should be easy. Keys will be made to drop through the slots in the yokes to secure the lock around the kamarion. My conjecture is that the two holes evident on Orsova kamarion were for crosspins to lock the keys in place, and also prevent any lateral movement of the yokes. 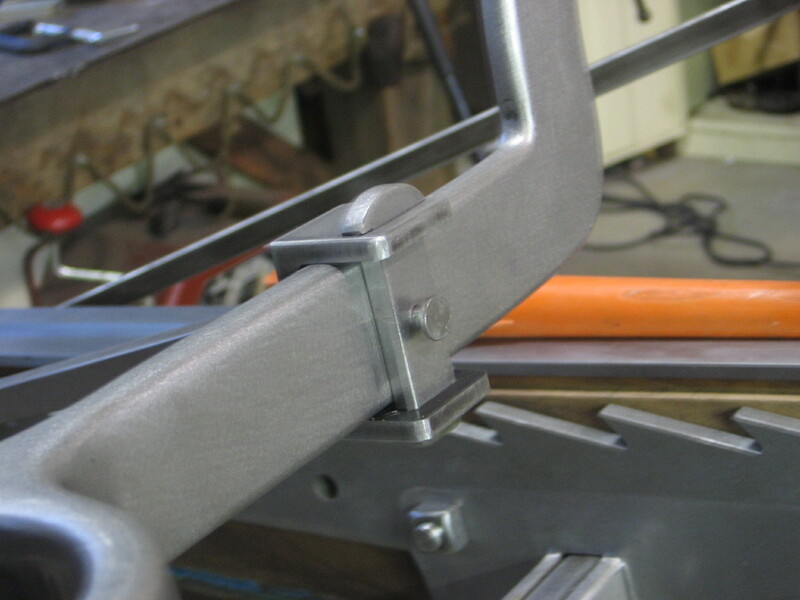 Pins that pass through the projecting studs on the sideplates should retain the rear of the struts nicely. All this fancy, just to claim the title of “take-apart”. Such is the price of extending the design themes apparent in the artifacts. 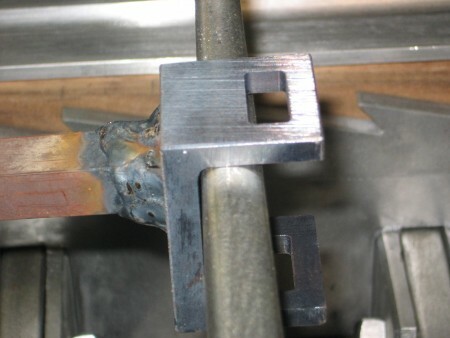 And the welding goes fine. We do TIG welding as an analog for forge welding. 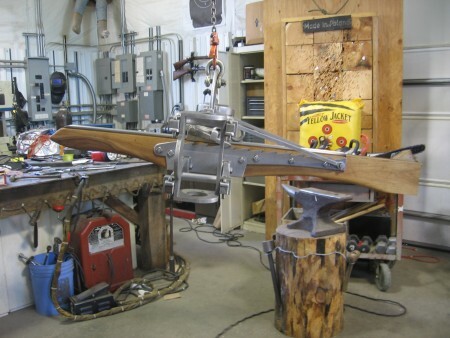 I never weld things together with modern techniques that could not also be done with ancient ones. An analog is an analog is an analog. Now for clean-up and finish work. And a stout key and pin. All in a day’s work at the little catapult factory. As usual, I ran out of sanding discs. Later, ye pesky burnishing bug! Click to enlarge. Rebecca says it’s worth it! There are just the keys and cross pins left to do and then the struts will be done. I left the sagma (saddle) deliberately long to help stabilize the stock sans the lower struts. We’ll see how well that all works out. And finally, the keys and their pins are installed. I must admit, those cotter pins are making the authenticity gremlins that ricochet around inside my skull, a tad analeptic. Solid pins of somewhat larger diameter will be the thing. That will be for another time. Next we move on to the washers and vernier plates. Okay! I can’t stand it any longer. Now is another time. A modern 20 penny nail, non-galvanized of course, gets the job done in the role of analog for the Roman version. Good enough for our purposes, anyway. 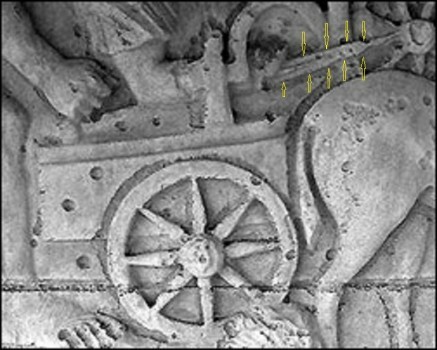 And that, ballista fans, is my explanation for those two little holes seen in the kamarion of the Orsova artifacts. Maybe the Romans did it some other way. But not for my money.